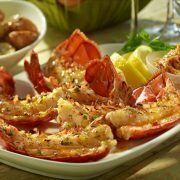 Visitors to the Big Green Egg web site are not required to register or purchase any products. 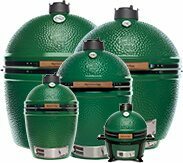 Big Green Egg, Inc. (BGE) is sensitive to concerns about user information. By entering user information on the BGE Website, you consent to our use of such information for purposes that are described herein. You may also provide us with personal information as required for BGE to provide you with services relating to products that you purchase from us, such as Warranty Registration for a Big Green Egg. BGE does not sell, rent or share personal information with any unaffiliated third party, except as may be necessary to provide our services. We have chosen a third party to process our credit card transactions in order to provide enhanced security, reliability and fraud protection mechanisms for your purchases. The credit card information that you choose to provide during your purchase is maintained in the credit card processing company’s database for accounting and billing purposes. Unless expressly authorized by you, we do not maintain a copy of your credit card information on our servers. Without limiting the foregoing, by giving us user information you are giving us permission to provide you with promotional and/or other marketing information about BGE products, services and offerings. If you elect to receive such promotional and/or marketing information, you will be able to opt-out of receiving any futher communications. We do not intend to collect information from children. If we discover that the Website has inadvertently collected information from a child, we will promptly take all reasonable measures to delete that data. BGE uses computer cookies to store information to help analyze what is happening on our site so we can improve the functionality. Our cookies do not contain financial or personally identifiable information. BGE does not correlate the cookie information with data about individual users, nor does it share this information or sell it to any third party. If you prefer not to receive cookies from this Website, you can set your browser to warn you before accepting cookies and refuse the cookie when your browser alerts you to its presence. You can also refuse all cookies by turning them off in your browser. Please know that certain features of this Website may be unavailable if your browser is not set to support or enable cookies. 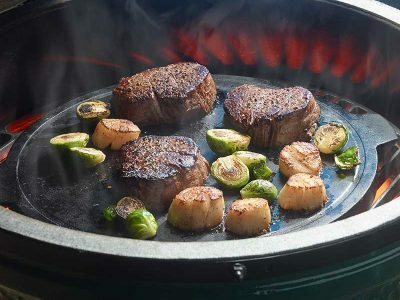 All information and product specifications contained on the Big Green Egg website are subject to change without notice, and BGE reserves the right to modify such information at any time.